James Bay’s 13-storey Harbour Towers Hotel & Suites at 345 Quebec Street may be turned into rental apartments, Citified has learned. The concept, presented by Vancouver-based Omicron Canada Inc. to the James Bay Neighbourhood Association, envisions a conversion of the 42-year-old hotel’s 189 rooms into a 200-plus-unit apartment complex. I like this. Bunch of new rental apartments and hopefully spurs construction of a new hotel due to low hotel vacancy rates. It's actually quite amazing that we haven't seen a new hotel proposal poke out of the woodwork yet. 100+ rooms disappeared with the closure of Queen Victoria Inn, then another 90 or so with the closure of the Dominion, although they did have one of the floors closed off in recent years. I guess AirBnB has helped absorb some of that impact as the closure of older hotels with no new supply could have made for quite a pickle. In this sense the loss of hotel capacity is being mitigated with AirBnB, kind of like how the lack of new rental stock was mitigated by secondary suites. Don't you have to add in the new hotels? 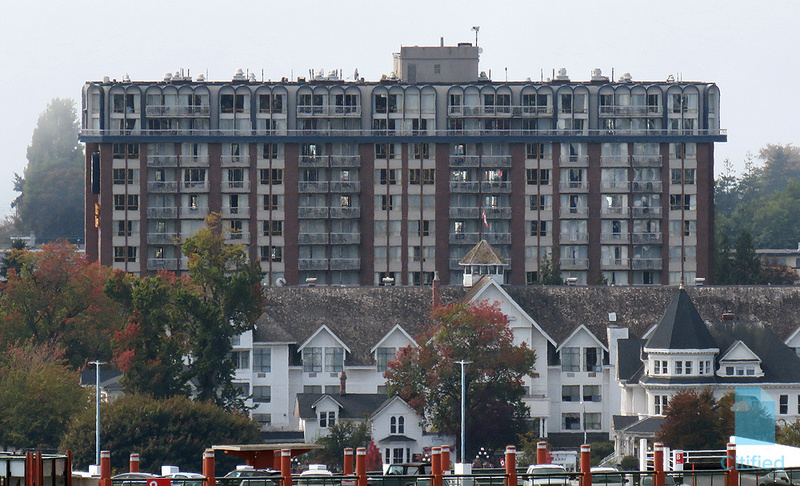 Park plaza whatsit, Marriott, more rooms at Laurel Point, at least twice the size at OBBH. I'm pretty sure the AirBnB inventory more than covers the lost hotel rooms. The Marriott is well over a decade old now, but we did add the Oswego within the decade. I'm sure there are one or two smaller places somewhere in the region, but I can't think of them. QOBBH and stuff Langford is not City of Victoria. The Parkside (timeshare) hotel on Blanshard was a major addition in the last decade. I guess the Rialto renovation was just a like for life replacement of rooms? Just be thankful View Towers is multiple in name only. Ah, totally, Parkside. Although isn't there something different about the Parkside? It's a timeshare of sorts, isn't it? Trendwest is another property that added some capacity. Anybody can rent rooms at Parkside. The Westin Bear Mountain -with over 200 rooms and suites-opened just over a decade ago in 2005. I always forget that we have a Westin. Going forward last I read. After this tourist season. Says it's going to public hearing. The public hearing for this proposal will be during the city council meeting this Thursday (Sept 7). It's official. A friend of mine works there and they got word today. No more hotel, no more convention space, no more food service. Apartment conversion.